Happy New Year! I hope you had a successful holiday season and that 2019 will be a great year for you and your business. Toward that end, the NSS team has been working hard to deliver a show that will help to boost your bottom line. We're excited about the quality of both our exhibitors and attendees in this first co-located show with NY NOW. From a personal standpoint, this is my very first NSS – and I can't wait to walk it and to meet all of you. I look forward to seeing you in just a few short weeks! 1. We have been in business for 12 years. There are no national chain retailers in our town, and we're fortunate to have an amazing customer base of people who support independent retail. 2. Prior to opening Paper Trail, we had a showroom business in New York City called The Loom Company for more than 20 years, during which time we launched John Derian's business and represented him for many years. We sell his collection of decoupage in our shop. 3. In addition to cards, stationery, giftwrap and custom invitations and stationery, we have a very extensive range of jewelry and women's accessories, as well as unique home accessories and gifts. Most of our designers are exclusive to Paper Trail. 4. Our price range is very broad – starting at a dollar or two for an eraser, to more than a thousand dollars for fine jewelry. 5. Chelsea Clinton got married in Rhinebeck a number of years ago, and we created her Rehearsal Dinner invitations as well as her guests' Welcome Bags. What new products will you be debuting at the NSS? 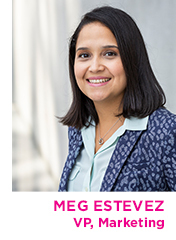 "This will be my first U.S. trade show, and I'm excited to showcase my top-selling greeting card, giftwrap and art-print designs, as well as brand new ranges! I will also be debuting pillows as my new product at NSS this February. 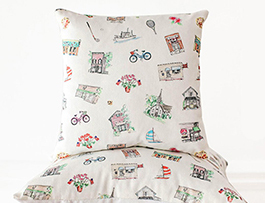 Handmade in Michigan with fabric printed in the U.S., the illustrated pillows will be available in four square sizes (10", 14", 18", 22") and in several different print designs appealing to most U.S. regions. 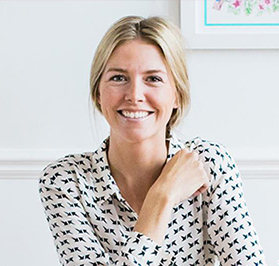 I also offer custom illustrated paper and home goods for stores looking for something extra unique." 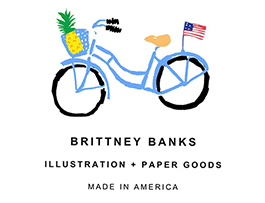 —Brittney Banks, Owner/Illustrator, Brittney Banks: Illustration + Paper Goods, based in Harbor Springs, MI, which offers custom and ready-made goods and whose motto is: Make Life Fun. Handmade, illustrated pillows from Brittney Banks: Illustration + Paper Goods. 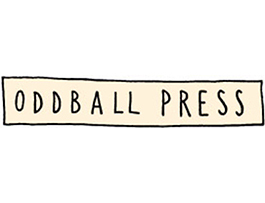 "This NSS, we are excited to debut our new tote bag collection, the Oddball Press 'Sad Sack' line. We are offering four different designs, hand-screen-printed on durable, white canvas totes. We are also releasing more letterpress greetings and printed goods, adding to our everyday and special occasion categories." 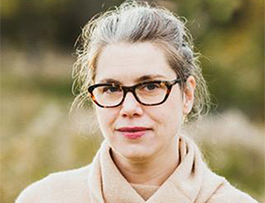 —Kati Hanimagi, Proprietor, Oddball Press, a Cleveland, OH-based company offering contemporary greetings and printed goods that feature letterpress and offset printing, quality design, and jokes. 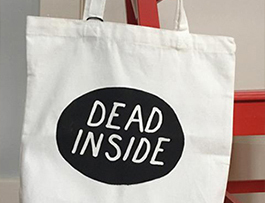 "Dead Inside" screen-printed white canvas tote from Oddball Press. "There are so many new things coming in 2019 that we are excited to share at NSS. 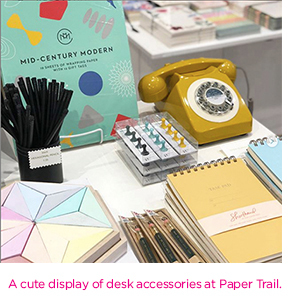 Visitors will experience lovely new additions to our custom albums plus new collections of greeting cards and stationery—all sure to be crowd-pleasers. They will delight in seeing the updates we’ve made to our custom letterpress wedding and baby albums, which range in design style from classic and traditional to cheeky and fun. Plus, they’ll hear how we are re-imagining our approach to the custom design services we provide for themed weddings and special occasions." 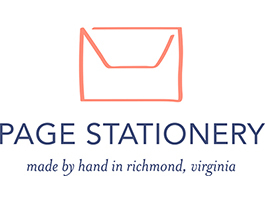 —Deborah Roberts, Owner, Page Stationery and Letterpress Studio, based in Richmond, VA, which specializes in the design and production of custom invitations, announcements and fine paper goods. 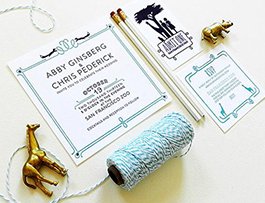 "Zoo" custom letterpress wedding suite from Page Stationery and Letterpress Studio. There has been a ton of buzz about Pantone's Color of the Year for 2019: Living Coral, described as "a vibrant, mellow color that embraces us with warmth and nourishment to provide comfort and buoyancy in our continually shifting environment." Many NSS exhibitors have already embraced this popular color on products they'll be presenting at the Show next month. 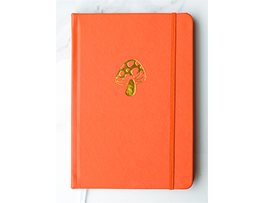 "Mushroom" hardcover journal from Valley Cruise Press. 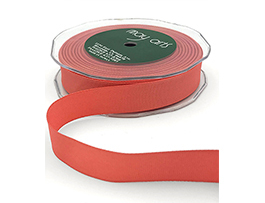 Coral 3/4" grosgrain ribbon from May Arts Ribbon. 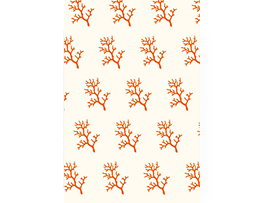 "Coral Branch" giftwrap from Ornament Letterpress. 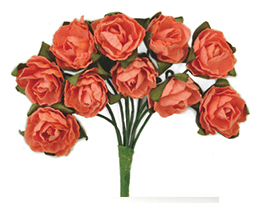 "Mini Paper Blooms" from Kaisercraft. Sign Up for NSS's Seminar Lineup! 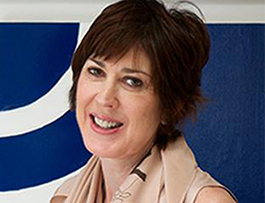 The NSS has another impressive roster of top-notch speakers offering must-attend, one-hour seminars to keep your business thriving! Below is this year's lineup; all seminars are $25 in advance, $30 on-site. Click here for full details and to purchase. We're excited to bring calligraphy back to the NSS this February. On Sunday and Tuesday we have worskhops hosted by Nancy Moy, Nancy Moy Calligraphy and Danielle Rothman, Rothbyrn's Creative. And on Monday, Bernard Maisner of Bernard Maisner Calligraphy will create special giveaways for our attendees. We hope to see you there! Click here for complete details.